At MyHeadcoverings.com we love to find out all the different reasons that women cover their hair. As you know there really are tons of reasons – religious purposes, hair loss, sun protection, and a bad hair day just to name a few. 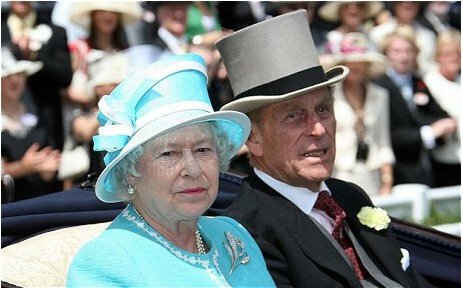 What exactly is the Royal Ascot? Well Ascot is a village in England that became home to the Royal Ascot, perhaps the most historic series of horse races in Britain with a history that is well over 200 years old. The village of Ascot had the good fortune of being near the place where Queen Anne of England’s kennels were, as well as Windsor Palace, and in 1711 Queen Anne decided that it would begin to feature a yearly Horse Race. So she purchased the grounds for what was then the princely sum of 558 pounds. The Royal Ascot races quickly became one of the main social events on the British Calendar and in 1749 the Duke of Cumberland changed the format to a four day Tuesday through Friday series of races. In 1807 the first running of the Ascot Gold cup took place and the cup has remained a prized event to this day. In 1913 the British Parliament established the Ascot Authority to administer the racecourse and races held there. What is part of the Dress code? Well naturally formal dress is required which means men must wear black or gray “morning dress” and women are told not wear spaghetti straps, halter straps, off the shoulder as well as cover all midriffs. The thing that gets us is that there is also a requirement for Hats or Fascinators. Basically it’s a headband with a fancy feather or something of the sort. So I guess that pretty much establishes Hats as well as Fascinators as really high Fashion. Have dreams of attending the Royal Ascot? Check out the Hats at MyHeadcoverings.com!